Life in a mountain resort town is full of assumptions by outsiders. The lifestyle, amenities, and abundant natural beauty compliment the idea many have of an easy-going, carefree life of dodging responsibility and a constant pursuit of the next rush. But under the surface, life in the mountains aren’t always what they’re cracked up to be. In fact, ski towns in North America are home to some alarming statistics as to the hardships people must endure to live the dream. Yes, the resort lifestyle is not all fun and games. Drug addiction and alarming suicide rates run rampant. The Economic Policy Institute recently published a report on income inequality in the United States, and their findings may or may not be surprising. 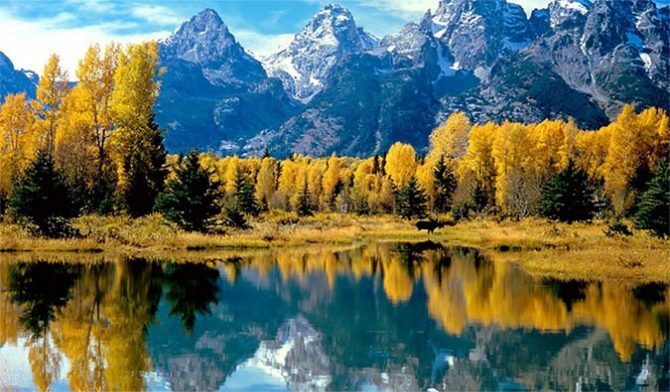 The area that sees the greatest divide between the richest one percent and the other 99 was the iconic mountain town of Jackson Hole, Wyoming. Home to one of the finest resorts in the country, the reputation here is very much well-deserved. Jackson Hole boasts some of the best snow and terrain on the planet, giving avid skiers and boarders a smorgasbord of options for amazing lines on and off-piste. But to live in the town and access that terrain you’ll have to either fork up almost $2000 for a season pass, or work for the resort at paltry wages. Even then you’ll have to find accommodation, a task that has become so difficult that Jackson Hole Mountain Resort is now bribing local residents with free skiing in exchange for housing some of its employees. A positive step for sure, but a clear indication that something isn’t quite right. Jackson isn’t an anomaly. Most resort towns have a large chasm between the have’s and have-not’s. Part of the problem is a real lack of motivation to find a solution due to the destination nature of these locales. “If you don’t like it here, leave,” is the idea. For those who retain wealth in these communities, letting go of the stream of money is not exactly at the top of their priority list. And with a transient working population that sees fresh new faces every season, there’s no urgency to change things up if the working class replenishes itself each year. The wealth gap is but one issue. Even more alarming is the rate of suicides that plague these communities. A few months ago, National Geographic published a piece examining the high rate of suicides in ski towns. The article examined many factors such as the aforementioned income inequality, a party culture leading to high rates of drug and alcohol abuse, and even more prevalent access to firearms that all lead to suicide rates up to three times higher than the national average. Whatever the factors causing this, this much is clear: something is seriously amiss in our mountain towns. So is there anything we can do to change this? Maybe, but we’re fighting an uphill battle against capitalism, as we all know, an extremely powerful force. But in this writer’s opinion, we could start by ceasing to consider mountain towns removed from real life. This applies to those on both ends of the economic spectrum. Too often I’ve heard anecdotes of people seeking the mountains as an escape from their daily routine. What we all need to understand is that changing your location doesn’t allow you to escape the problems you’re running from. In many cases, it only exacerbates them. Add in the fact that you’ll often have to work more hours for less money, and the fantasy in one’s head of starting over is not exactly as easy as just packing up and moving to the mountains. On a societal level, mountain communities could certainly do more to address these issues of income inequality and its subsequent fallout. While there is a good deal of proactive action currently in motion addressing the housing issue, there’s more to be done. But mountain towns only have so much space available for development, so sprawling out to create more housing isn’t some sort of magic panacea. 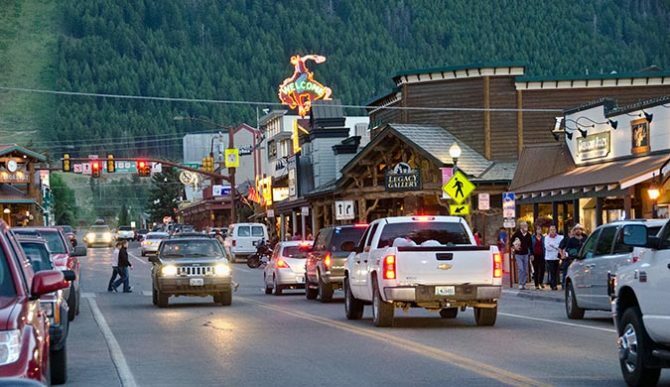 One consistent issue with most mountain communities is the ability (or rather lack thereof) for the average citizen to tap into the huge flow of money that comes from tourists. Oftentimes the big resort corporations have a stranglehold on the tourism dollars, and the only way for the working class to access this cash stream is to work for low wages while the owners and managers run off with the lion’s share. Local councils and legislators can do more to ensure that an artist has just as much opportunity to sell a handmade souvenir as a big company selling an overpriced T-shirt made overseas. In doing so, the tourism experience might actually improve, and local residents could have a fighting chance at prosperity.